The nights are getting longer, the temperature is dropping – yes, winter is coming. For drivers, this means a very different set of challenges to those experienced in the summer months. Clearly, the physical conditions on the roads themselves are different to the summer; wet and slippery road surfaces, fallen leaves, snow and ice can all make driving hazardous and increase the risk of accidents. Then there is the impact of air temperature and humidity on the engine itself. According to statistics from AXA Insurance, drivers are 27% more likely to experience an engine cut out in winter, and 18% more likely to find that their car will not start at all, often due to the battery having been drained by the heating or in-vehicle gadgets. Indeed, cars are 51% more likely to experience battery problems in the winter. The same statistics show that there are 36% more flat tyre changes in winter, thanks to the more dangerous driving conditions, increase in potholes and damaged road surfaces. All this is potentially problematic and costly news for drivers, but it is also information that dealerships should pay close attention to. Like any other business, the best dealerships respond in an agile and innovative way to customer needs, and this includes being flexible as those needs change throughout the year – in other words, running a ‘seasonal dealership’. Given that accidents, tyre and battery problems are all more common in the winter, this translates to different priorities for vehicle aftersales care in the winter months – and greater demand for aftersales care overall. As such, the colder season is a great opportunity for dealerships to maximise their aftersales activity, whilst also responding to customer needs and adding real value in terms of advice and support during these more challenging driving months. First, dealerships should pay closer attention to statistics such as those outlined above, and ensure that they are well-prepared for an increase in battery problems and flat tyres. Running out of key parts and being unable to respond to a customer’s issue promptly is a sure-fire way of losing sales and reputation. Second, dealerships should consider ways in which they can offer value-added services and advice to customers in line with the demands of winter driving. 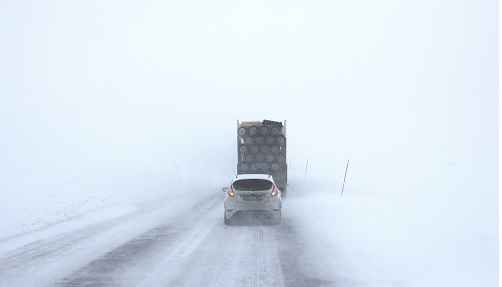 Educating customers as to why certain problems are more common in the winter, and how driving habits and basic vehicle care can help alleviate those risks is a powerful way of adding value. For example, advising drivers to let their air filter ‘breathe’ through regular cleaning, for is a basic piece of advice which can reduce the risk of engine cut out. Third, consider areas in which cost can be a barrier to drivers – for example, replacing worn or damaged tyres which can lead to accidents on wintery roads. Offering flexible, interest-free payment plans can be advantageous for both the driver and the dealership, delivering a sale which might previously have been turned down. All of these strategies require an organised approach to customer and market data more broadly, which can be dramatically enhanced through the use of technology like autoVHC’s. Our software helps dealerships to track analytics on vehicle health and the most common reasons for aftercare appointments, thereby delivering both a more tailored service and greater visibility and transparency for customers. Winter is coming – is your dealership ready?